With this keyboard you don't need all of those expensive third party barcode scanners. Scan and enter barcodes and QR codes into any app with this android barcode scanner keyboard! Download “Barcode & QR code Keyboard”, the best barcodescanner keyboard available on Google Play. The innovative “Barcode & QR code Keyboard” enables you to scan barcode and QR code data directly into apps. 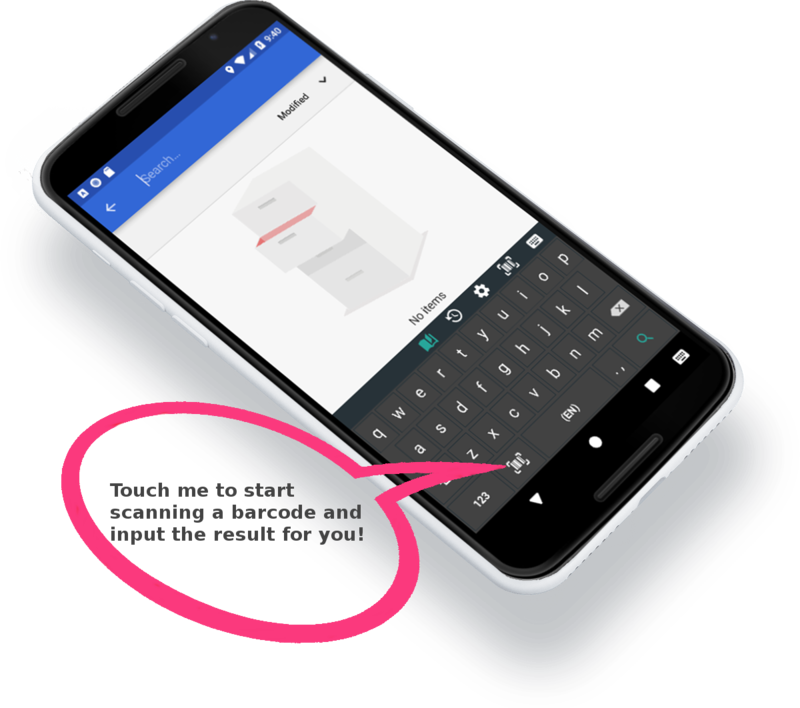 The scanned data appears immediately - as typed by yourself - in the active input field of the app you are currently using. 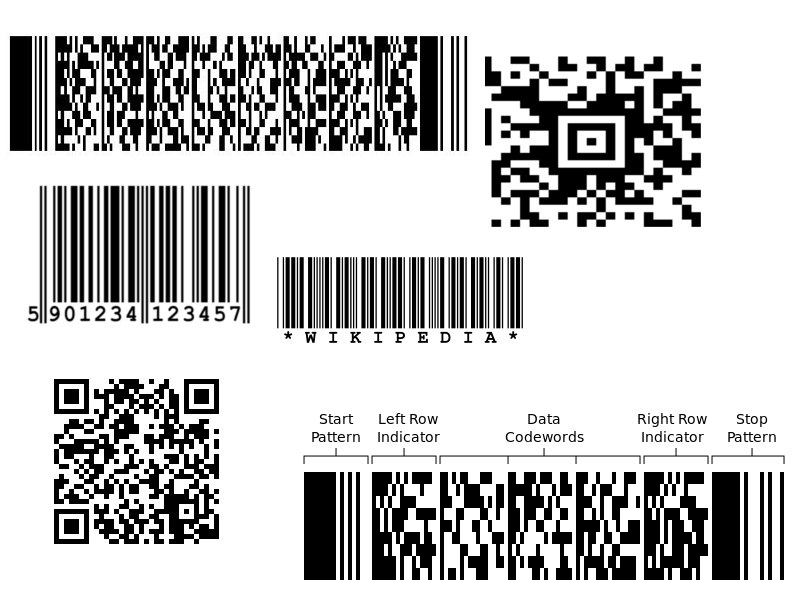 “Barcode & QR code Keyboard” also includes functionality for multiple barcodes and QR codes scanned at a time. Now stop reading and start downloading this extremely fast, performing and accurate barcode QR scanner keyboard ever! Do you want some more details about it? Here you go then! The application can scan multiple barcodes at a time. Please Contact us for more information about pricing multiple devices. Each customer which uses a custom build, pays a lifetime license. Also those custom builds can be customized so the keyboard can be stylized based on the corporate colors and logo of the client. Also the version which is used in the private build can have custom functionalities based on client's needs but they are payed separately. 1. Choose event on which you want the barcode value to be sent . 2. Type in your desired URL to send the data to. 1. What is this app all about? Niko Barcode & QR code Keyboard is fast and fun way to easily scan barcodes. It is an Android software keyboard with integrated barcode reader. 2. What information does this app collect? This app requires to use the CAMERA of the phone only for scanning barcode data. It does not collect or save any of the scanned data on third party remote servers. It does not collect or save any of the data that the user is typing while using the keyboard. This app collects only Google analytics information. 3. How analytics information is used? Google analytics information is used only for analysing users behaviour withing the app. What parts of the app are most used. 4. Is this analytics information shared? No, all analytics data is private for the developer.